Ardon Creek will be closed for Easter! 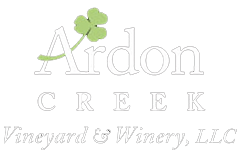 This Sunday, April 21, the Ardon Creek tasting room will be closed for the spring holiday. If you're having a wine emergency, please be sure to check our Where To Purchase page to find your nearest retailer! Happy Easter! Enjoy a night of country music with some classic rock and blues to balance out the mood. Savor the moment with your favorite bottle of wine and take in the summer breeze as we rock out with "The Wild Oats Band" Friday August 23rd, @ Ardon Creek.